Inspiration Knits was founded by Louise Zass-Bangham. Louise loves designing accessories that will show off the colours in your yarn. And she loves giving you options so that you can make your project your own. Louise believes patterns should be clearly written and a pleasure to knit. With a degree in textile design, Louise went to Central St. Martins College of Art and Design as a postgraduate in pattern cutting (pattern making). She has worked with some of London’s top catwalk designers, leading fashion brands and stylists. Louise has also worked in sustainable garden design and is an award-winning writer on the subject. Taking time out to have kids prompted a return to handknitting. Her designs have proved popular on Ravelry, regularly featuring in the hot list. Knit Play Colour is her first book. Louise also teaches a number of workshops through various shops and yarn shows. Check out the Workshops page to learn more. 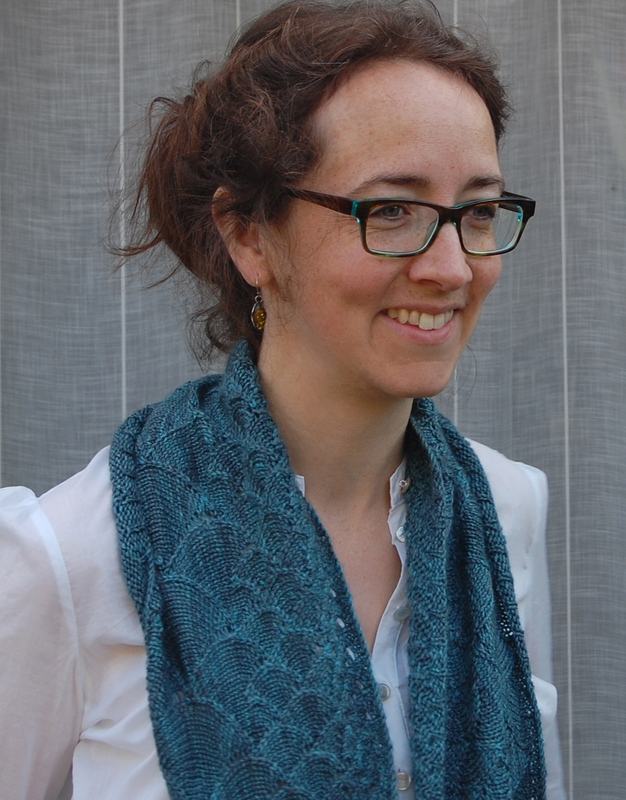 You can download Louise’s stylish patterns as pdfs from her Ravelry store. Would you like to receive news of discounts, special offers and new patterns? Join our mailing list. You can follow Louise @inspirationknit on Twitter. See the things that inspire Louise on Pinterest. I’d like to buy your lovely “Winds of the Sea” pattern but I wonder if it comes with a chart for the pattern as I much prefer those to written out instructions. what is your wool shops address in Hackney? Hello Genevieve! I believe the Hackney shop you’re asking about is Wild & Woolly. It can be found at 116 Lower Clapton Road in London. Postcode is E5 0QR. Cheers!